If you’ve been on the right side of the affiliate marketing trend for the last few years, then you should be seeing positive results for your efforts. You’ve got a team of expert publishers advocating for your brand, and they’re making it easy for potential consumers to learn a bit about your product and to easily navigate to your retail or opt-in registration site. The interest is there, and the traffic is coming. Is your landing page and/or website optimized to get the best from your affiliate program? What should you be looking at when you examine your website? Turns out, just about everything. Once a consumer clicks on that affiliate link, what happens in the next few seconds can have a tremendous effect on your bottom line. Does your page take more than 4 seconds to load? You could be losing thousands of viewers and potential sales. Landing page a different color than your website? You’re potentially triggering mistrust issues. Savvy consumers absorb massive amounts of information quickly, and there’s a lot of competition out there ready to capitalize on your mistakes. Next, take a good look at the content and tone your affiliate team is using to get people to learn more about your brand. Are the links easy to see and click? Is the content educational and intriguing enough? While you’re double checking these details, make sure to track down and take a look at your competitors’ affiliate sites to make sure you stack up. 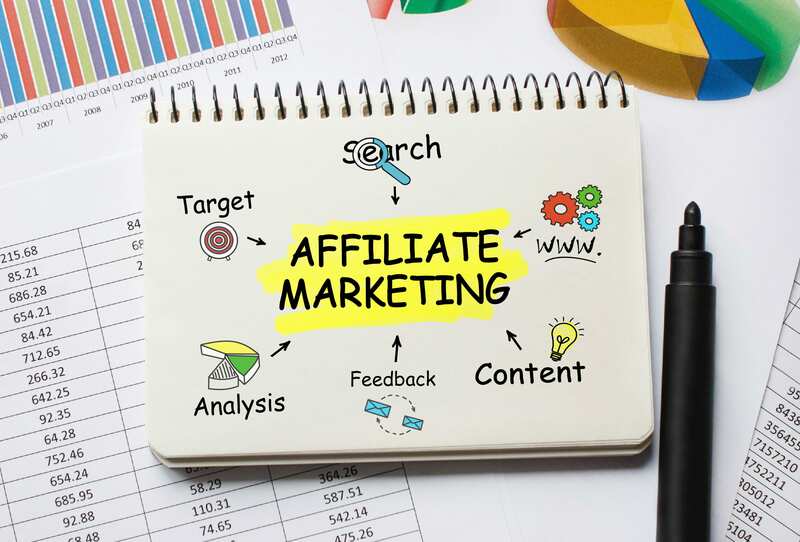 Learn how affiliate marketing can be used to expand your reach, the different types of affiliates and to manage affiliate programmes. Now, be clear about what you want to accomplish with your affiliate team. Are you looking for sales or lead generation? Both of these goals are achievable with this type of marketing, but, require different approaches as it pertains to your website. Featuring a discount code or coupon? Try it out from every device out there to make sure it works…and then try it again. Nothing turns off potential consumers like malfunction at the time of purchase. Having brief but concise content like positive reviews, customer testimonials, and number of products sold can offer social proof and buyer confidence at that crucial last step. 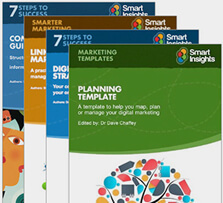 Have all of your analytics tools in place. Mining all the data from all the visits to your site is valuable, even if you don’t convert. If you’re looking to build an email list, have your e-book downloaded, or otherwise capture information for your sales team, you need a pre-lander page. This should include exactly one action (like an email address) and quick, easily digestible messaging. Make sure the imaging and messaging are consistent from affiliate to pre-lander to website. Pictures, fonts, and colors should match up on each stage, and assure that prices, promotions, and deliverables are the same throughout the process. Prioritize which metrics mean the most to you. The top three should be the ones you make sure you’re able to measure consistently. So, which metrics do matter? Obviously, success rates are tied to conversion rates and KPI’s albeit it sales or lead generation. But if you’re trying to fine-tune your website to grab all those conversions, you have to dig a little deeper. There’s a lot of free tools out there to take advantage of this data, and we’ll get to those. The first and most popular tool you should be using is Google Analytics, so we’ll dial in a few of the best tools to efficiently audit your site. Whether you’re on the Google Analytics dashboard or one of many customizable dashboards, here’s a few metric categories that you’ll want to have up front and center. There’s a few anomalies to consider, also, so read carefully. Time on Page: This is a great basic tool to assess how engaging your landing page is. If you have an unappealing landing page or if the user interface is lacking somehow, it’s likely the time on page will be pretty low. However, if the content is engaging and drives traffic to the next page on your site, it’ll be a lot longer.Be aware, though, that if a user either spends a long time on your first page but doesn’t move on or is able to convert immediately on that first page, the basic Google code will register 0:00 as time spent. That can skew numbers significantly (as it reports the user never being there at all), so consider some more advanced tools that can measure time on page more accurately. Bounce Rate: Working off that Time on Page metric, bounce rate shows you the percentage of users who left your site without proceeding further. This can be enormously insightful; the tool can identify what browsers and devices each visitor was using, so high bounce rates for mobile users, for example, likely means your page is not mobile friendly. If your overall bounce rate is high, you probably have a larger form/functionality issue, and might want to consider a larger assessment. Larger files and images can slow down loading time, so make sure you’re compressing those to speed up your page. However, like the time on page metric, bounce rates can be deceiving. If a user can land on that page, get the information needed and/or convert, and leave, it may still show up as a bounce. Tweaking the time spent on an average stay on your page will help you define a bounce, and give you much more accurate data. Social Media/Blog Visits: Quantifying where your affiliate traffic is coming from will help you guide your affiliate team on where to prioritize your links. Certain networks will attract different target audiences (i.e. B2B software on Linked In, food industry on Instagram, etc. ), and realizing this can make a big difference. Blogs shouldn’t be overlooked, also; long-form content is much more SEO-friendly, and can ramp up your search juice. Pay attention to the unique visitors and peak times visited, as well. Posting content at optimum times can make all the difference in response rates. Now that you think you’ve optimized everything, it’s time to get the real scoop. Asking family, friends, and co-workers is valuable, to be sure, but might be hard to quantify. There are a number of ways to gauge the general public’s opinion of your site, and you’d be wise to use a few of them. One simple site, Five Second Test shows your page to a wide sample of viewers and specifically asks what they noticed in a five-second viewing. This is truly functional feedback, as that’s around the average time in which a buyer will register all their first impressions. Plus, you can get a breakdown of particular demographics to see what each thought. Combining that with basic functionality tests, you can implement a few A-B tests to see which finalized product truly stands out. Like an expert carpenter, using the best tool for the job is the best way to get it done, so do some research and find the best tools and metrics for your site. Long story short, there’s always improvements to be made. And, if your landing page is truly optimized, you’ll want to watch the numbers to make sure it stays that way. Always watch the competition, keep a steady eye on your affiliate team, and don’t stop tweaking the design of your site. All that hard work will pay off. Thanks to Kristen Matthews for sharing her thoughts and opinions in this post. Kristen offers strategy advice for many brands, agencies and affiliate marketing companies. She loves to talk about digital marketing and would love to connect on Twitter @KristenWords. Affiliate marketing’s outlook in the not-so-distant future should perk up any entrepreneur’s ears While some naysayers have prematurely eulogized affiliates, a Rakuten Affiliate Network study estimates they’re on target to grow by nearly $7 billion by 2021. So when marketers claim affiliate …..